The celebration on April 7, 2017 of Campaign successes and the opening of the Kevin Hirt Library and Learning Commons and the Kim and James Taylor Music/Performance Room was an inspiring and exhilarating example of the BCD community at its best. T wo hundred members of our community filled the room. 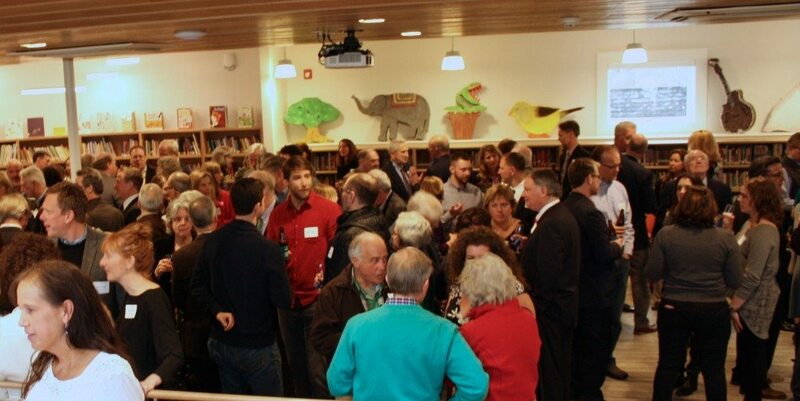 In attendance were families, alumni, faculty, staff, and members of the local community, all of them passionate BCD supporters who understand and embrace the promise of this intentional, independent, and inspired school. 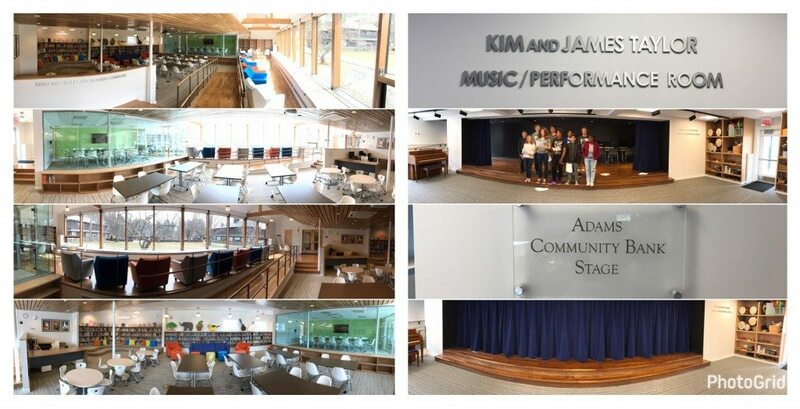 We also saw promises fulfilled—the promise we all made to Kevin Hirt ‘06 and his family to create a transformational Library and Learning Commons; the promise we made to current and future students to build a dedicated music and performance space where they can cultivate their musical abilities and creativity; the promise we made to the faculty to ensure they have the resources necessary to maintain and strengthen our unique and comprehensive curriculum. 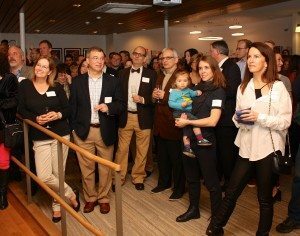 The successful completion of Fulfilling the Promise: The Capital Campaign for BCD is accompanied by a new, more vigorous public presence for Berkshire Country Day School. We are engaging the community around us with new branding and marketing, and new enrollment strategies. The phenomenal press coverage we received around Friday’s event (check out this article in the Berkshire Edge) is just one example of the many ways we are communicating the promise of Berkshire Country Day School to more families, individuals, and organizations than ever before. We invite you to read and hear (listen to Campaign Co-Chair Hilary Ferrone on WAMC) that coverage for yourself, and we encourage you to share with others who might be interested in learning more about BCD. Our deepest thanks to the 457 contributors to the Campaign (who collectively exceeded our $3 million goal, raising $3,240,202!) and the many people who made it possible for us to realize these dreams and fulfill the promises we celebrated. We express gratitude to everyone who makes it possible for us to deliver on the promise of an extraordinary experience every single day. Special thanks to the dedication of our Campaign leaders, specifically Co-Chairs Hilary Dunne Ferrone (who organized a large and talented event committee of current parents– thank you, one and all!) and Chris Ferrone, Co-Chairs Phil Deely ’61 and Hilary Somers Deely, and Honorary Co-Chairs Kim and James Taylor. And, a final note of thanks to our talented teachers who nurture the heart and feed the soul of Berkshire Country Day School. 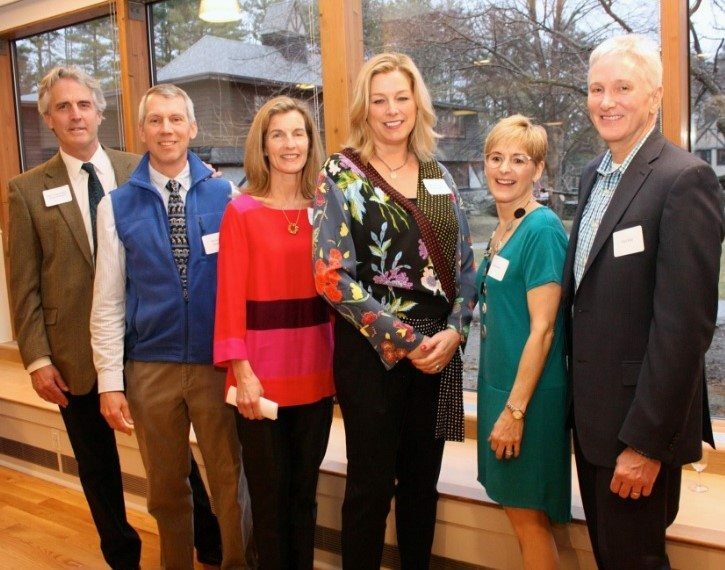 For more great coverage, click here to see The Berkshire Eagle and enjoy these terrific pictures of the event (by Associate Head of School Leigh Doherty) HERE.